Champagne AR Lenoble is a family-owned company where the values of family are genuinely cherished. It was founded by Armand-Raphaël Graser in 1920. 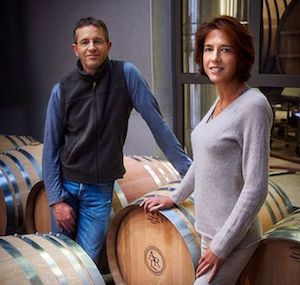 Antoine and Anne Malassagne (brother and sister) are the fourth generation to look after the estate and we are proud to say that for the last century we have remained completely independent without any outside investors or shareholders of any kind. We own 18 hectares in three prime locations in Champagne, most importantly the 10 hectares that we own in the Grand Cru village of Chouilly on the Côte des Blancs. We press our own grapes. 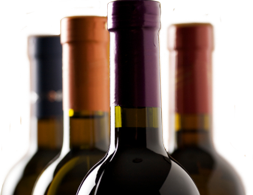 We blend, bottle, age and disgorge our own wines. We are a small team of 12 people producing 320,000 bottles per year. Every single bottle is produced by us here on the estate. We were the second house in Champagne to be certified as “Haute Valeur Environnementale” in recognition of twenty years of sustainable practices in the vineyard with a particular focus on the cultivation of biodiversity and a commitment against using herbicides and pesticides. We are humbled to have our wines routinely praised by a number of leading international publications including Wine Spectator, Decanter, Bettane et Desseauve, La Revue du Vin de France, World of Fine Wine and Wine Enthusiast as well as champagne experts from around the world. Our wines are distributed in some of the most influential places in Paris, ranging from Alain Ducasse au Plaza Athénée to Tim Johnston’s Juveniles Wine Bar. In London, we have been the house champagne at Michel Roux’s Le Gavroche since 1999 and are served at Gordon Ramsay Royal Hospital Road and La Trompette. We are also the house champagne at Gerard Basset's Hotel Terravina. great-grandchildren of founder Armand-Raphaël Graser and the fourth generation of the family to run the company entirely by themselves. AR Lenoble has been completely independent since it was first established nearly a century ago in 1920. No outside investors or shareholders of any kind are involved in the business. This allows us to guarantee the stability of our long-term, comprehensive strategy. 4. The expression of Chouilly defines who we are and what we do at AR Lenoble. Chouilly is one of only 17 Grand Cru villages in Champagne and one of only 6 known for Chardonnay. AR Lenoble is one of few producers to use 100% Grand Cru Chardonnay in every single one of our wines. 5. Biodiversity is an extremely important part of our philosophy at AR Lenoble. We seek to create an environment which enables us to harvest the healthiest grapes possible. We have planted hedgerows to stabilise the soils. The vineyards are also home to a cluster of beehives from which the House makes a limited amount of honey each year. Bees are an important symbol to us as they literally preserve the natural equilibrium of the world. 6. The yields at AR Lenoble are significantly lower than the average yields in Champagne, year after year. We let the grass grow in our vineyards in order to reduce yields on purpose. 7. AR Lenoble uses exclusively the CUVEE from the first pressing to craft our wines, never the TAILLE from the second pressing. 8. All reserve wines are conserved in either small Burgundy barrels of 225 litres or 5000-litre foudres established along the lines of the solera or “perpetual blending” system. 9. The legal minimum for ageing in Champagne is established at 15 months but AR Lenoble never releases its wines until at least 3 years of ageing in the cellars followed by 3 additional months of post-disgorgement ageing. 10. AR Lenoble is one of few producers in Champagne to use the “black bottle”. You can be confident that every single bottle of AR Lenoble you encounter has been crafted “in house” by AR Lenoble. 12. AR Lenoble defines its wines as PRECISE, VINOUS and FULL OF CHARACTER, wines recognised for their round and creamy texture, with bubbles perfectly integrated.